Ardex offers its advice on the most common rendering queries the company encounters. Q: What is the advantage of using a class “E” extended open time tile adhesive? A: When fixing ceramic, mosaic, porcelain, stone etc it is beneficial to use adhesives that provide the tiler with good working properties. One of the important factors when tiling is the open time of the adhesive, generally the longer the open time the better this is for the tiler. If the open time is exceeded this reduces the contact between the adhesive ribs and the back of the tile resulting in poor/no adhesion. Any adhesive that has exceeded the open time will need to be discarded which is both time consuming and expensive! 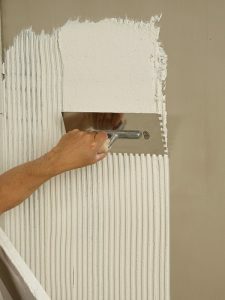 The open time of a tile adhesive is described below. Traditionally most normal setting adhesives had an open time of up to 20 minutes. The above British Standard describes various classifications, one of which is ‘E’ and describes the adhesive as having an extended open time of up to 30 minutes. 1. 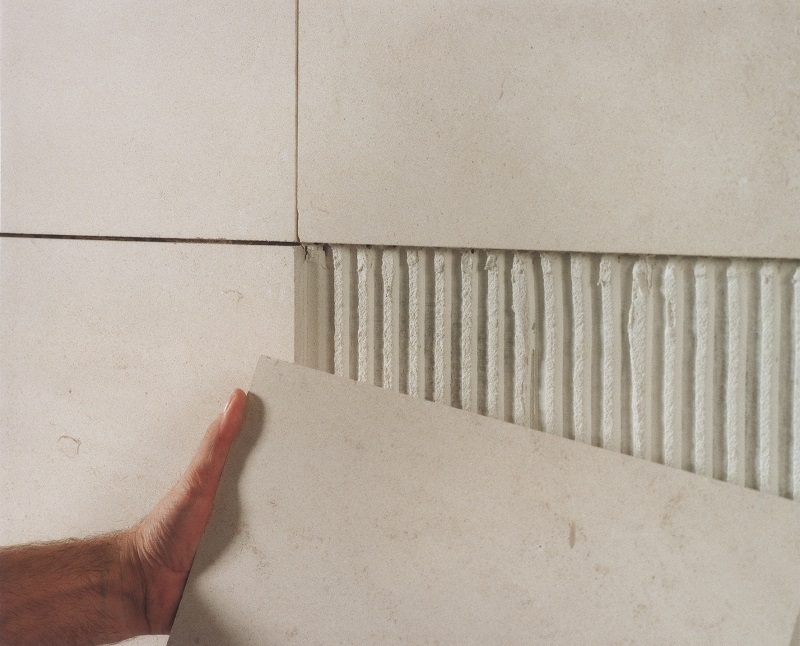 The tiler can apply larger areas of adhesive reducing the risk of the adhesive drying/skinning over. 2. The extended open time gives the tiler longer to fix any cut tiles. 3. Reduces the risk of the adhesive drying on the face of the fixed tiles making cleaning of the tiles easier prior to grouting. Most Ardex cement based adhesives meet the E classification due to their built in water retention agents. Some of our adhesives, such as X 77/W and ARDEX X 78, have up to 60 minutes open time, twice the minimum E requirement. This is particularly useful when fixing large format tiles; Another benefit of cement based adhesives is that, when using them in warm conditions to very dry substrates these surfaces can be dampened with water, just prior to applying the adhesive, which helps maintain their open time. The photo below shows on the top row of tiles a standard E adhesive used at varying time intervals and the bottom row shows Ardex X 77 used at the same time intervals. This shows that Ardex X 77 achieved a far higher coverage than the standard E adhesive. For further information on Ardex click here.